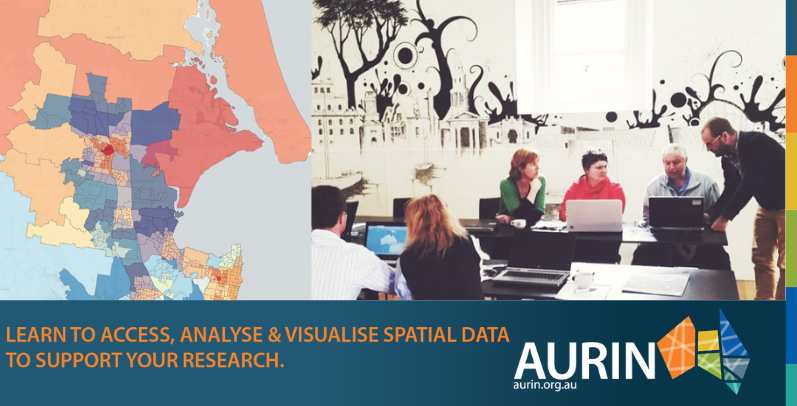 Griffith University – Logan Campus and AURIN, the Australian Urban Research Infrastructure Network, are proud to present a free workshop for Griffith students and staff on spatial mapping and analysis on the 14th of May. At an AURIN Workshop you will learn how to use the AURIN Workbench. Get instant access to thousands of datasets that are quick to retrieve and easy to explore. Analyse and interrogate the spatially enabled data from across disciplines in one easy to use online GIS. During an AURIN Workshop you will learn how to access and explore data and assess its suitability for your research. We will learn how to use the AURIN Workbench tools (Map, Portal, API) that will help you analyse your data and create intelligent maps that support your decision making. We will look at comparative analysis across health and socio-economic data and investigate the walkability of neighbourhoods. From this we will learn how to present this information into sharable knowledge that supports your decision making. This workshop is open to all researchers who wish to learn more about AURIN and the potential to incorporate a spatial decision support aspect to their research. No prior experience of GIS or data is required. Researchers from any discipline considering a spatial (mapping) element to their research and decision making will benefit from taking part.